This gorgeous home is the one you've been waiting for!! 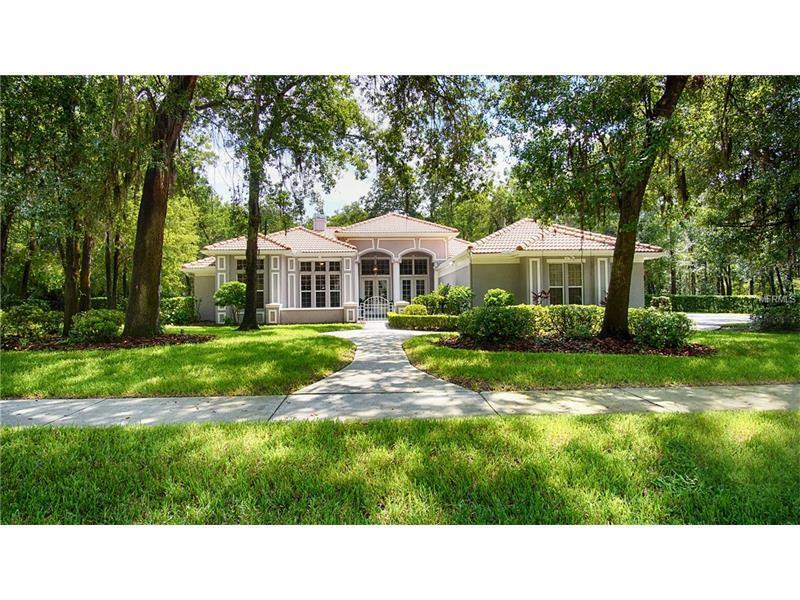 Sitting on over 3/4 of an acre on a private, fenced conservation lot in the gated community of Fish Hawk Trails. As you drive up to the home, you will notice the double french doors, the gated courtyard and barrel tile roof. This home has been exquisitely updated throughout the interior and features porcelain tile wood look flooring that flows throughout the entire home with wide baseboards and crown molding. The kitchen is absolutely Amazing and will take your breath way, featuring custom cabinetry, gorgeous granite, stainless professional series appliances, including double wall ovens, induction cooktop, dishwasher, and built in side by side fridge, center island with seating and a stainless farm sink. Don't miss the wonderful butlers pantry off the kitchen!! The master suite is privately located on one side of the home next to the office and has access to the pool area thru french doors. The huge master closet even has a floor safe in it. All of the secondary bedrooms are spacious and the 4th bedroom has an ensuite bath that also serves as a pool bath making it perfect as a guest suite. Other features include 2 cozy fireplaces, 4 car garage, laundry room with built in cabinetry and extra storage area, built in shelving across the back wall of garage, saltwater pool/spa with pavered lanai, well for irrigation saving you $$ on water bill, tankless gas water heater and so much more. You simply have to see it, so make your appointment today! !